corneal reshaping and Ortho-K lenses. People often speak of Ortho-K lenses as a recent innovation, but they actually began to be used in the 1940s, when doctors discovered that glass contact lenses could reshape the cornea. Development continued over the next several decades and the procedure really began to gain a foothold in the 1990s. From improvements in gas-permeable lenses to computerized corneal topography software, there have been several leaps forward in the technology over the years. We also now know that orthokeratology is one of the most effective ways of slowing down the progression of myopia in children. Myopia is a serious global health concern, with well over one billion people struggling with the condition. That number is expected to increase to nearly 5 billion by 2050, due to factors including age, decreased time outdoors, and more time spent looking at screens. Ortho-K lenses have been one of the most effective treatments for over 20 years now. As myopia becomes even more common, this type of treatment will become more popular – and more important – for people all over the world. Because of this global epidemic, orthokeratology is becoming important not only for myopia correction but also for the prevention of its progression. place. As your treatment progresses, you may be able to wear them more often. It may seem like corneal reshaping would be painful, but it’s not. That’s because the reshaping is not the result of squeezing or “squishing.” Instead, it comes from hydraulic forces. The lens forms a vault of fluid over the eye, causing some parts of the cornea to take in more fluid and some parts to take in less, changing the shape of the cornea and temporarily correcting curvature issues. Ortho-K lenses can be effective for almost anyone, but children are particularly good candidates. That’s because LASIK surgery isn’t suitable for these young patients. However, kids who don’t want to wear glasses often achieve fantastic results with Ortho-K lenses. We now know that this treatment is one of the most effective methods of slowing down progressive myopia in children and is becoming the gold standard for myopia management. 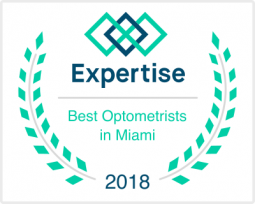 Other good candidates include those within a specified range of prescriptions, and those who need vision correction without corrective lenses, such as pilots, police officers, or athletes. It can take multiple visits to the eye care practitioner to fit Ortho-K lenses correctly. 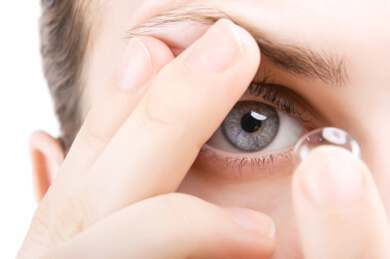 Fittings usually occur over a period of weeks and involve several sets of temporary lenses to find the perfect fit. This process ensures a proper fit and optimal results. Because Ortho-K lenses is considered elective, most vision insurance policies do not cover it. However, most people find that the cost of this treatment is well worth the results. Imagine being able to enjoy clear sight all day long without glasses or contact lenses, and it’s easy to see why so many people choose Ortho-K lenses in spite of the out-of-pocket expense. For more information about corneal reshaping and Ortho-K lenses, contact us today.